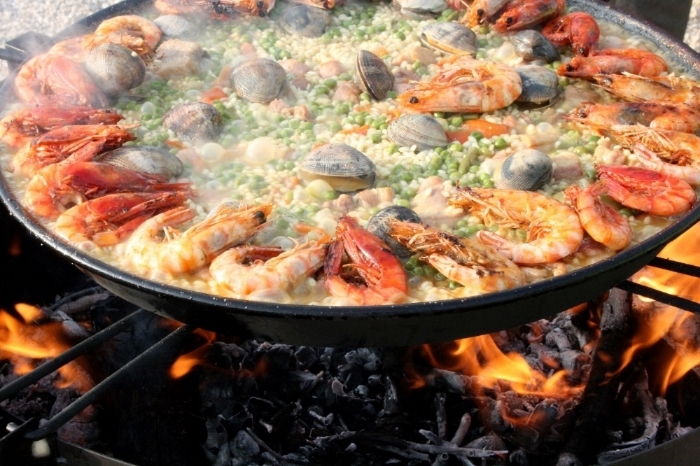 This vibrant dish form Spain gathers all around the table to share the sea and field's harvest from a single oversized pan. Available in several different manners, the basic dish can be composed of any or all the listed proteins depending upon your guests needs and wishes. Accompaniments are also available to provide a more diverse offering for the table for an individual course or can be provided in courses to provide a more structured dining experience.